This is perhaps a story better told through pictures, though fortunately I took a lot. I arrived in Dryden just a little too late Saturday morning and found parking spaces amazingly full, so parked on Union Street and walked over to the Southworth Library's new Lincoln Center Addition. 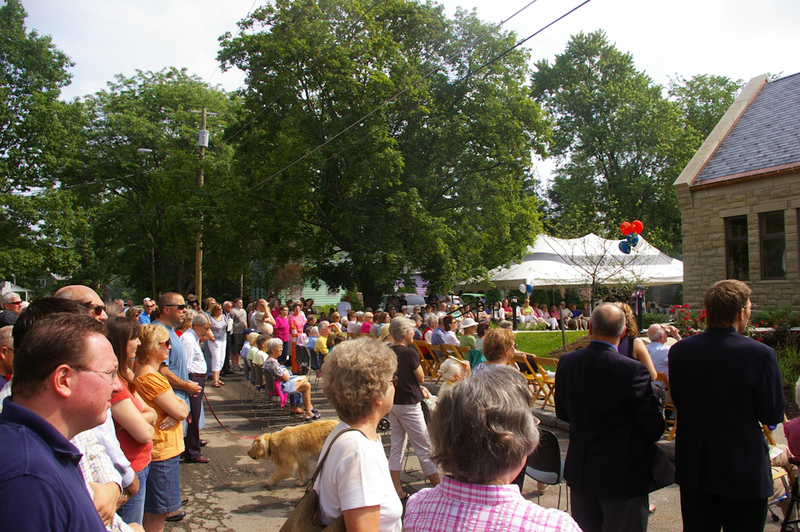 The street was blocked off and there was quite a crowd. I'm guessing 200 or 250 people total, but I could be low, I think. 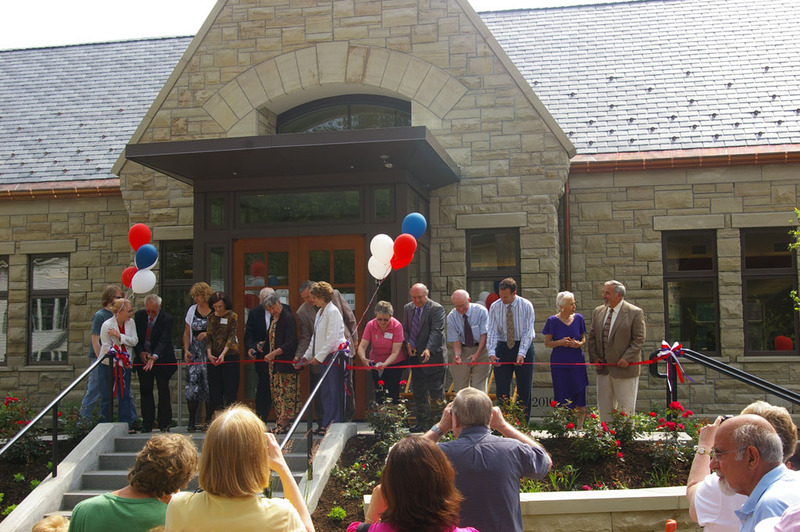 Southworth Library Association Chair Mary Ellen Rumsey welcomed the crowd and guests, and the Dryden Masons performed a cornerstone-laying ceremony, as they had for the original library. Mike Lane told the crowd the story of how the library and the addition had come to be, of the Southworths, Jennie McGraw-Fiske, and the Dwight family. The Dwights' work on the Lincoln Memorial had led to Robert Todd Lincoln giving John A. Dwight the manuscript of Lincoln's second inauguration speech, which he had then passed on to the library. The library kept it carefully until its recent decision to auction it. It went for $3.44 million, a large chunk of which went to build this much-needed addition. Next up was the ribbon-cutting and the entry of people into the library. 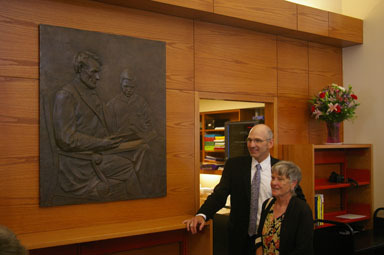 Sculptor Jacque Schickel by his Lincoln plaque with Southworth Library Association board Chair Mary Ellen Rumsey. There's a lot more of the celebration, the people, and the building in the full set of pictures. They convey it much better than anything I can write. Thanks for posting the pix. I was so sad to miss this dedication, but now I feel as though I was there!